What Is the Prescription Interdiction & Litigation (PIL) Task Force? 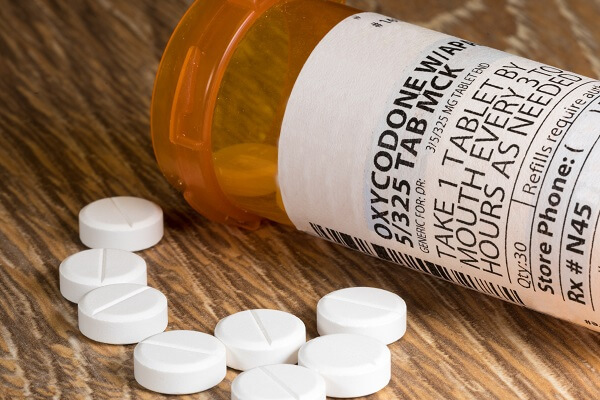 The Prescription Interdiction & Litigation (PIL) Task Force is one of the DOJ’s newest efforts to target health care providers as it seeks to combat the nation’s opioid crisis. Earlier this year, the U.S. Department of Justice (DOJ) announced the formation of a new Prescription Interdiction & Litigation (PIL) Task Force. This follows the creation of the Opioid Fraud and Abuse Detection Unit last year and represents even further commitment to the DOJ’s mandate of fighting the nation’s opioid crisis. “The PIL Task Force will aggressively deploy and coordinate all available criminal and civil law enforcement tools to reverse the tide of opioid overdoses in the United States, with a particular focus on opioid manufacturers and distributors. . . .
“The PIL Task Force will combat the opioid crisis at every level of the distribution system. At the manufacturer level, the PIL Task Force will use all available criminal and civil remedies available under federal law to hold opioid manufacturers accountable for unlawful practices. The PIL Task Force will build on and strengthen existing Department of Justice initiatives to ensure that opioid manufacturers are marketing their products truthfully and in accordance with Food and Drug Administration rules. . . . In other words, with the formation of the PIL Task Force, the DOJ (in cooperation with other federal agencies, including the Drug Enforcement Administration (DEA) and Department of Health and Human Services (DHHS)) is ramping up its efforts to target all health care providers and companies that manufacture, prescribe, and dispense opioid medications. Q: Why is the DOJ focusing its efforts on targeting health care providers? While there are numerous factors that are contributing to the nation’s opioid epidemic, the DOJ views the health care system as one of the main contributors. Practically speaking, it is also easier to target and prosecute health care providers who submit billing reports to Medicare and who have a lot to lose in federal fraud investigations. Certainly, some health care providers are part of the problem. However, it is equally certain that the vast majority of health care providers are law-abiding professionals whose fundamental goal is the same as the DOJ’s. Unfortunately, the DOJ has transitioned from an ad hoc investigative process to a much more scorched-earth approach. This means that virtually all health care providers who prescribe and dispense opioid medications are at risk for falling in the PIL Task Force’s crosshairs. Q: How is the PIL Task Force Different from the Opioid Fraud and Detection Unit? It appears that the PIL Task Force and the Opioid Fraud and Detection Unit will play related, but different, roles in the DOJ’s fight against opioid fraud. According to the DOJ, “The PIL Task Force will use the criminal and civil tools available under the Controlled Substances Act against doctors, pharmacies, and others that break the law . . . [and] build upon and expand the efforts of the existing Opioid Fraud and Abuse Detection Unit.” Additionally, while the Opioid Fraud and Abuse Detection Unit deployed teams of federal agents and prosecutors to 12 “hot spots” for opioid fraud around the country as part of an initial pilot program, the PIL Task Force appears to be immediately targeting health care providers on a nationwide level. Q: What is the DOJ doing to combat opioid fraud and abuse besides targeting legitimate health care providers? Held two National Prescription Drug Take-back Days, which allowed individuals to dispose of opioid medications with no questions asked. Q: What should I do if I am contacted by the PIL Task Force? If you are a physician, pharmacist, clinic operator, or other health care provider and you are contacted by the PIL Task Force, you need to take your situation extremely seriously. You cannot assume that this is a casual inquiry or that the initial contact will not lead to further government action. In fact, the much more likely scenario is that your business or practice is being targeted as part of a larger-scale opioid fraud investigation. And if you do nothing, you could face civil or criminal health care fraud charges. Q: What happens if I am charged with opioid fraud? The consequences of being charged with opioid fraud depend on whether the charges are civil or criminal in nature. When facing an opioid fraud investigation, you want to keep the investigation civil if at all possible. While the civil penalties under the False Claims Act and other federal statutes can be substantial, being criminally charged under the False Claims Act or the Controlled Substances Act can lead to long-term federal imprisonment. Q: When do I need to think about hiring an attorney? If you have been contacted by the PIL Task Force, you need to hire an experienced health care fraud defense attorney to represent you during the PIL Task Force’s investigation. You do not want to wait until you have been civilly or criminally charged. At Oberheiden, P.C., we represent health care providers in federal fraud investigations nationwide and we can take action immediately, if necessary, to protect you. Contact the Federal Defense Team at Oberheiden, P.C. Have you been contacted by federal agents from the Prescription Interdiction & Litigation (PIL) Task Force? If so, it is important that you speak with an attorney who has extensive experience in federal health care fraud investigations. To schedule a confidential case assessment as soon as possible, call (888) 519-4897 or inquire online now.